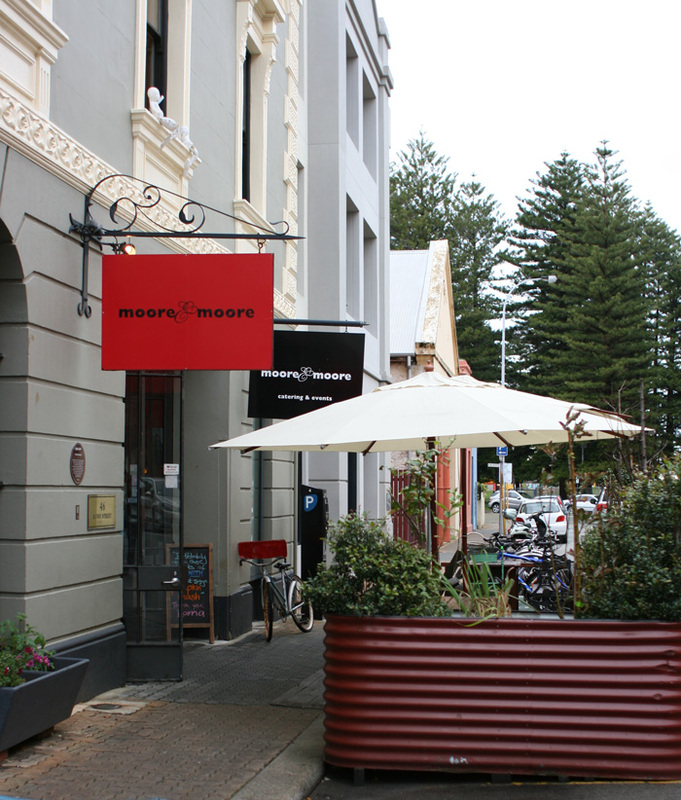 Moore and Moore Café is located on Henry Street, opposite Notre Dame University in the west end locality of Fremantle. The café on the ground floor is the welcoming point of the Moores building, there are six unique individual exhibition spaces for hire and they are often utilised for exhibitions and creative projects or collaborations. The Moores Building is a recognised historical landmark in Western Australia, a merchant business owned by William Moore operated from the site in 1868. The building as it stands today was constructed in the late 1800’s during the gold rush period. The city of Fremantle went about diligently restoring the limestone and sandstone block building over an eight year period from 1986. Roughly finished limestone walls and stretched timber beams are the first features I see when entering Moore and Moore cafe. 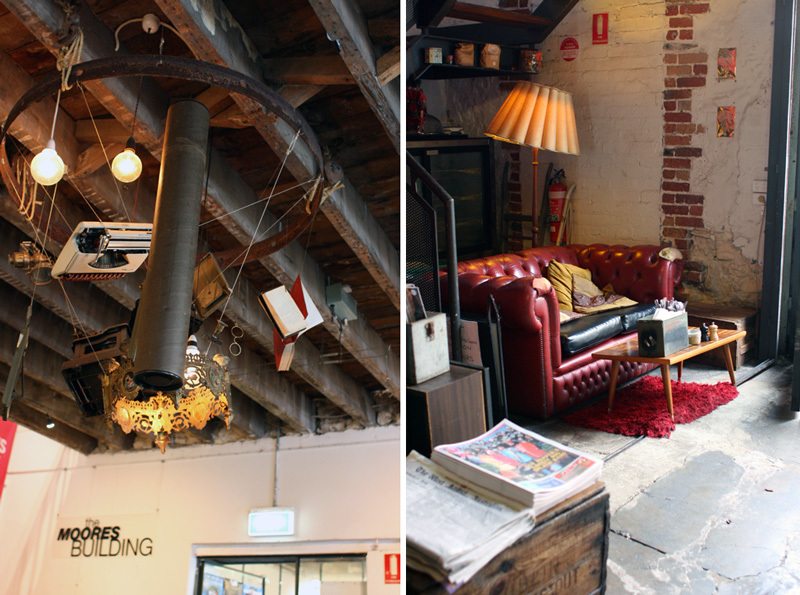 Small spaces of cozy couch corners, a dining room and the rear courtyard make up the rather quirky manifested café. A series of mismatching furniture, vintage and rustic items have found their place in the café, some might see it as verge collection but I adore spaces like this. I’ll spot a table that my family would sit around for Easter lunch at my Nonna’s place or the old rounded edge ivory coloured fridge. Perth is often referenced to have a small town atmosphere, Fremantle even smaller so it’s pretty easy to stumble across something of familiarity. I was really craving a buttery croissant and there were a couple to choose from at the counter along with some yummy looking cakes. We ordered a round of long macs and spent a few hours working away on the laptops. The coffee was aromatic and strong, we were happy with them. Free Wi-Fi internet is available to use and this was one of the reasons we visited the cafe but in the dining room we found it was a very slow service resulting in having to tether from our phones instead. I am guessing the super solid limestone walls block most of the wireless signals. 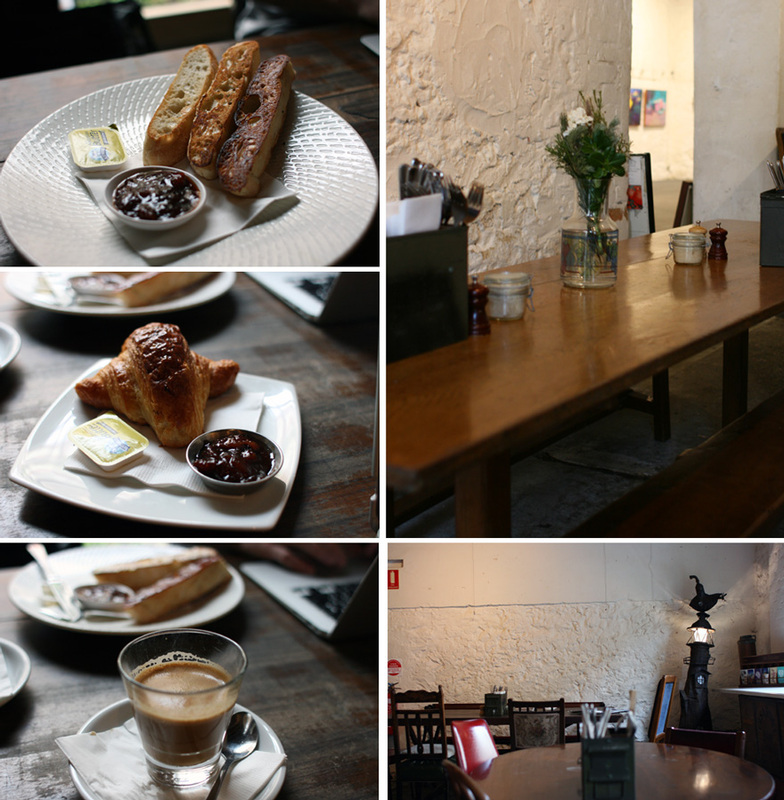 Overall Moore and Moore is a great little cafe, also a place to admire a little part of Freo’s past. The coffee was fantastic and my craving for a buttery croissant satisfied. We’ll be back no doubt to try the breakfast menu. If you find historical landmarks of interest I would definitely recommend a wander around the West End of Fremantle afterwards. There are some beautifully restored buildings that have started to open up to the public over the past few years. Backpacker retreats, cafes, book stores and art galleries can be found in the area. As you wander around High Street, Henry Street and Pakenham Street look up and you’ll see the original names still imprinted on the buildings. There are a few museums in the area such as The Maritime museum on the working port and the Shipwreck galleries. Something a little off the beaten track is the dusty Navy Club on Henry Street, the club style bar is open all week and Jazz Fremantle hold events on Sunday afternoons. To view the current exhibition program visit the Fremantle Arts Centre website. I love Moore & Moore Cafe. I am photographing a wedding there early next year, I can’t wait! Oh those photos will turn out beautiful! It is such a photogenic place and not to mention great cafe!